Children Just Come Through You! The true love, in true sense is always without any expectations. If we go on digging all the authentic expressions about love, if we go on studying about all the people who had got glimpse of true love in their life, we come to know that there are certain criteria for the term true love. For example, the true love never has expectations as its part. If you expect something from a lover, it means you do not truly love him or her. Secondly, true love can be between any two persons - mother and son, father and son, a couple, teacher and student etc. It is a common thing to hear that parents love their children. Obviously, as all of us can see, almost all of the parents love their children. It takes lot of efforts to look after children, to ensure their growth, to ensure their future. Parents go on working on all the levels to ensure that the children are doing things in a right way. A child takes a lot of time, money, care from his/ her parents. So, now, the question which troubles me is, how much right do these parents have over their children? In the very begining, I am reminded of a wonderful statement by the mystic Kahlil Gibran. Gibran reminds the parents that your children are not yours, they are just coming through you. You may strive to be like them, but seek not make them like you. The Archer see the mark upon the path of the infinite, and He bends you with His might that His arrows may go swift and far. When Gibran says something like this, it does not mean that he gives children full liberty do behave in careless way as far as parents are concerned. Gibran very humbly reminds parents not to force anything on their children at the same time reminding them about the divine designs of Life. Most of the times, parents force their wills and ambitions on the children. Parents if as they claim, truly love their children, why then this possessiveness arises? Why they cannot allow the child to seek in life what he really wants to? In almost all the homes, children are seeking some degree because their parents wanted to do them so. In countries like India, still parents dominate as far as crucial decision making is concerned. Important decisions which decide entire life of the children are taken under the strong interference of parents. These issues are not only about education or career. They range from selection of life partners to giving birth to the children. Many a times, a couple is not financially in condition to raise a child but still it is forced to do so because of strong force of parents. It can be found out that today, even well educated children are behaving in foolish way; reason being strong compelling to do so by the parents. It is always said that parents raise the children with love and affection, they grow the child with so much of efforts and hence, it is responsibility of children to behave the way parents want. So, I will like to tell all the parents that yes, you have taken lots of efforts, you suffered a lot for the growth of the child. But, you cannot charge the child his thinking power, his will for it. Do not be dominating as far as the decision making is concerned. 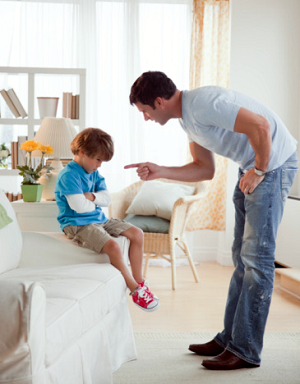 You can always guide your child, you can always advice him but you should never blackmail him in this way. In society, lots of cases can be found where child listens to parents while making some crucial decision and then suffers for his entire life because if the wrong decision. Parents do certainly have more experience of the world, agreed. But manytimes, parents force children out of ignorance, their personal motives or try to impose their incomplete ambitions on the children. If child does not listen, he is blackmailed with all those weapon- we love you, we suffered for you, took efforts for you. If parents remove this possessiveness from their behaviour, the family life can be improved many a times more. I fully agree with your views. Everyone needs unconditional love and the best source of unconditional acceptance is parents. But such is the cruelty of fate that even the love of parents comes at a cost; the cost being the child's freedom. Indian parents need to change their attitude. They must stop complaing. They must leave all negativity aside. The bitterness between the two generations is alarming sometimes. Sometimes, it saddens one beyond words that even living under the same roof, there is so much hatred and helplessness. The relationship between the two generations certainly needs fresh waves of unconditional love.